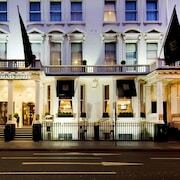 With a stay at Rydges Kensington London in London (South Kensington), you'll be minutes from Natural History Museum and close to Royal Albert Hall. 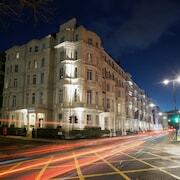 This 4.5-star hotel is close to Buckingham Palace and Big Ben. Make yourself at home in one of the 81 air-conditioned rooms featuring minibars and LCD televisions. Complimentary wired and wireless Internet access keeps you connected, and digital programming provides entertainment. Private bathrooms with showers feature rainfall showerheads and complimentary toiletries. Conveniences include laptop-compatible safes and desks, and housekeeping is provided daily.